Mapusa is believed to be a derivation of the Konkani word 'Map' meaning 'Measure' and 'Sa' meaning 'Fill Up' and pronounced by the locals as 'Mapsa'. 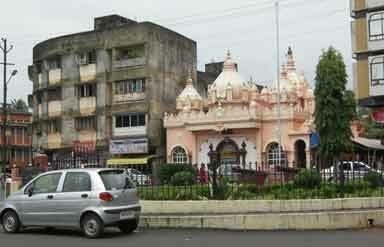 Mapusa is a small town with several buildings in ramshackle. 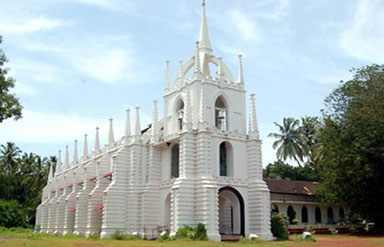 Travel to Mapusa, which gained popularity due to its famous Friday Market. The market was first described by a Dutch Chronicler as 'Bazaar Grande' in 1580 AD. Mapusa is perched over the hillock of Altinho in the Bardez Taluka on the National Highway 17. Mapusa is only 13 km from Panaji and is convenient to travel. Mapusa developed as a flourishing market center because of the Festival of the God Kanakeshwar Baba at the Bodgeshwar Temple. 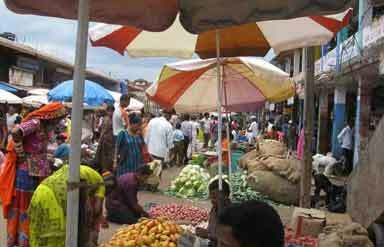 The most famous attraction to explore while on travel to Mapusa is the flourishing Friday Market. The market gradually took an elaborate form from the local fair held at the Bodgeshwar Temple in the honor of the God Kanakeshwar Baba. The market is held for a period of one week during the festival and is thronged by both the locals and the tourists. Travel to Mapusa to purchase dry fruits, chunky jewelry, country made liquor, eatables, Goan feni, ethnic handicrafts, plants, seeds and saplings and traditional Goan clothing from the Friday Market. Other places to visit on travel to Mapusa are Anjuna Beach, Baga Beach, Bodgeshwar Temple, Chapora Fort, Church of Our Lady of Miracles, Kansarpal-Kalbadevi Temple, Shri Kalka Mandir, Sri Morji Temple, St Jerome's Church, Terekhol Fort, Temple of Hanuman and Vagator Fort. » Air: The Dabolim Airport in Panaji is the nearest airport to Mapusa. 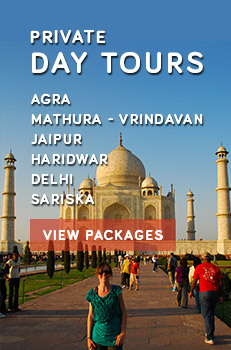 Caper Travel India offers wide a range of Tour Packages to Goa . For details, please enter your query in the form provided below.